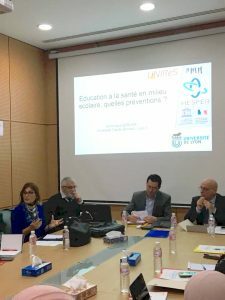 On January 9ththe WHO office in Tunis hosted a workshop on education, which is in line with the scientific activities of the UNESCO Chair Global Health & Education. The honourable Dr. Yves Souteyrand, Coordinator of Strategic Information WHO HIV/AIDS Department in Geneva, attended the workshop. Dr Ahlem Gzara Zargouni, the director of School and University Medicine at the Tunisian Ministry of Health and Dr Sameh Hrairi, the Tunisian National representative of the UNESCO were also in attendance. 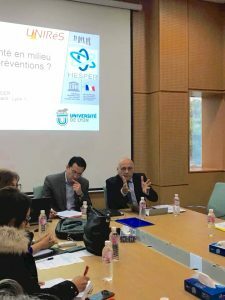 The lecture by Professor Dominique Berger (Claude Bernard University Lyon 1) was followed by a debate between different stakeholders across the education sector.